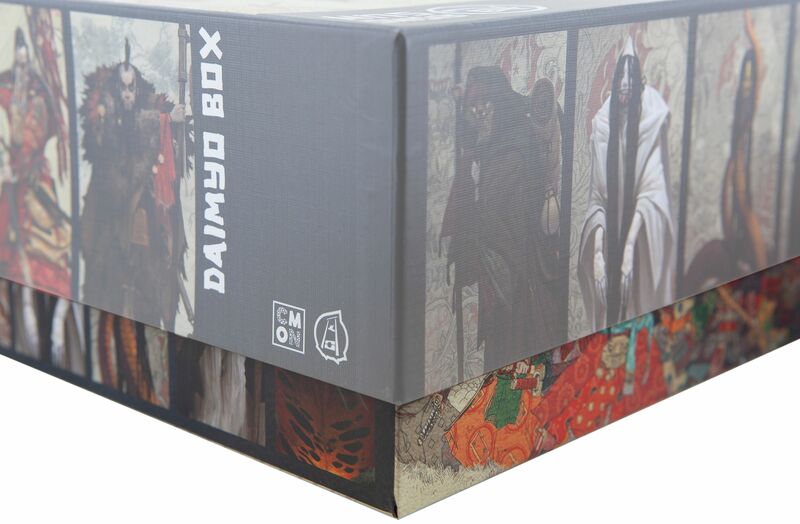 Bring order into your Rising Sun: Daimyo Box! This will protect your game material! 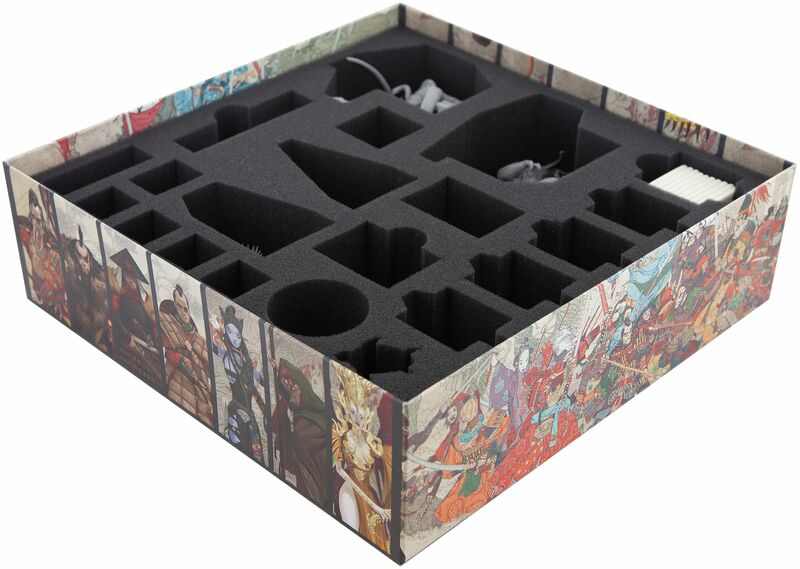 So your entire game material of the box has space in the foams. 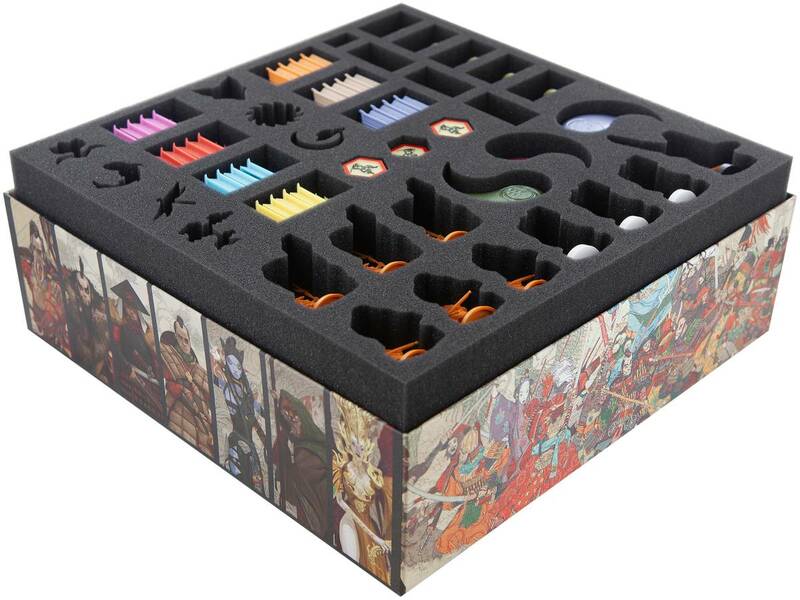 To transport the 65 Metal Coins from the Kickstarter Exclusive safely, we developed an extra compartment in the set. 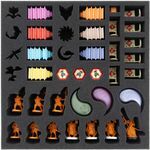 Each monster has an own individual shape in the foam. 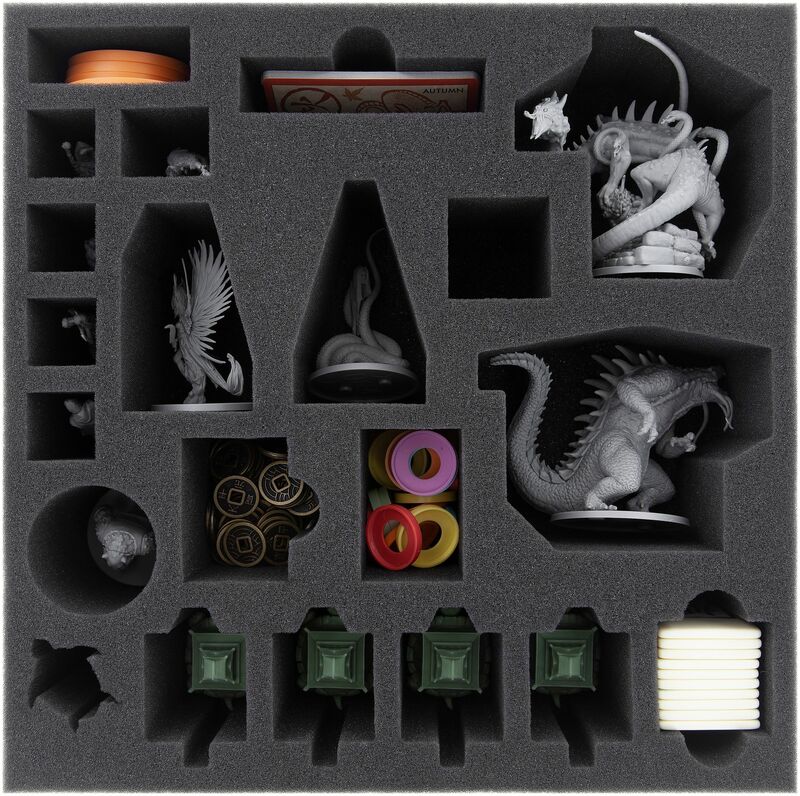 The compartments for the Turtle Strongholds are specially designed for the miniatures. 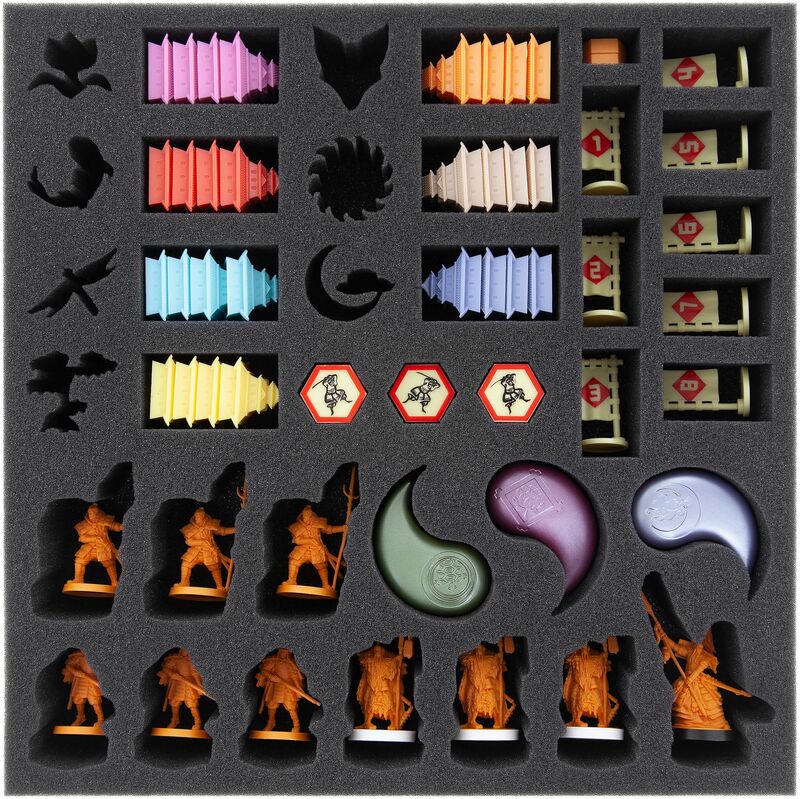 To have the best overview of your order, the respective Clan slots are marked with the Clan symbol.